SKU: GE0001332. Category: Optical Adapters. 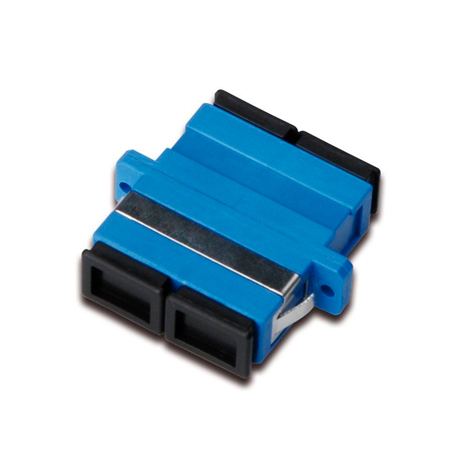 The high quality DIGITUS® fiber optic couplers with ceramic ferrule are the perfect supplement for the assembling of splice boxes. Due to constant quality controls and the accurate processing, the couplers guarantee an optimal performance and link quality. Each coupler is equipped with a dust protection cup, to protect the ferrules against dust. Moreover the couplers are delivered with the suitable mounting material, so that they can be installed and fixed to the front panels immediatly. The perfect perfomance is achieved by using the DIGITUS® Pigtails, which are also high quality manufactured and whose connectors interact with the couplers in the best of possible ways.